Libby Day was seven when her mother and two sisters were murdered in "The Satan Sacrifice" of Kinnakee, Kansas." She survived--and famously testified that her fifteen-year-old brother, Ben, was the killer. Twenty-five years later, the Kill Club--a secret secret society obsessed with notorious crimes--locates Libby and pumps her for details. They hope to discover proof that may free Ben. Libby hopes to turn a profit off her tragic history: She'll reconnect with the players from that night and report her findings to the club--for a fee. As Libby's search takes her from shabby Missouri strip clubs to abandoned Oklahoma tourist towns, the unimaginable truth emerges, and Libby finds herself right back where she started--on the run from a killer. GILLIAN FLYNN is the author of the runaway hit "Gone Girl," an international sensation that has spent more than seventy-five weeks on the "New York Times" bestseller list. Her work has been published in forty languages." Gone Girl" is soon to be a major motion picture from Twentieth Century Fox. 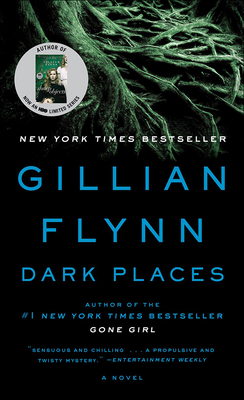 Flynn's previous novels, "Dark Places" and Dagger Award winner "Sharp Objects," were also "New York Times" bestsellers. A former writer and critic for "Entertainment Weekly," she lives in Chicago with her husband and son. "From the Hardcover edition."